Nandamuri Balakrishna is known for his dialogue delivery in his movies. The acting which came from his father is well known for everyone. But the unknown talent of performing the car stunt in his latest movie Paisa Vasool impressed everyone. The makers of the movie has released the car stunt and the video went viral in the social media. The makers of the movie has released the car stunt video in their YouTube channel and they also gave the tag line for the video, i.e., ‘He Needs No Stunt Driver’ at the end. This video shows how the movie is going to be. 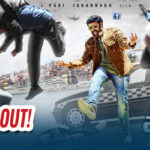 The video screen space is shared by Shriya Saran who is sitting beside Balakrishna in the car as there was an action sequence shot by the Director. The film’s teaser was released last month and going by it, the film looks like an out-and-out masala entertainer. Even the teaser attracted many viewers and created more interest to go and watch the film. The movie is set to release on September 1st and the post production works are almost done. With Puri as the director and Balakrishna as the lead actor, the movie is expected to get a big hit at the box office. Paisa Vasool (English: Money withdrawal) is a 2017 Telugu Action film, produced by V. Anand Prasad under Bhavya Creations banner and directed by Puri Jagannadh. Starring Nandamuri Balakrishna, Shriya Saran, Vikramjeet Virk in the lead roles and music composed by Anup Rubens. Junaid Siddiqui, Mukesh G, and Johnny Shaik handled the editing, cinematography and Art direction respectively. Principal photography commenced in the March of 2017. Director Puri Jagannadh announced on Twitter that he would be directing Nandamuri Balakrishna’s 101st film in his next directorial venture to be bankrolled by Bhavya Creations. While Rajamouli gave the clap, Boyapati directed the first shot.